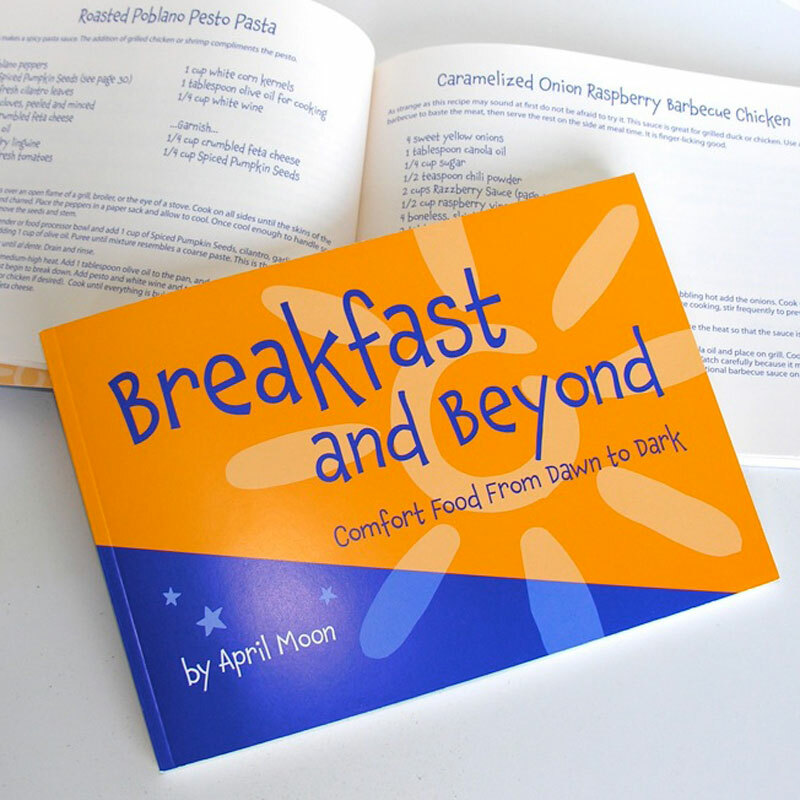 Includes original recipes from April Moon’s first cookbook, The Flying Biscuit Cookbook (originally published 1998, now out of print), as well as some new recipes developed after opening Sunny Point Café. Even though many years have passed since April’s original cookbook was published and food trends have come and gone, the desire for comfort food has remained as strong as ever. The key to great comfort food is quality, fresh ingredients, cooked with lots of love. With that in mind, April hopes you will cook and enjoy the recipes in Breakfast and Beyond adding your own twists and creating new food traditions with your family and friends.